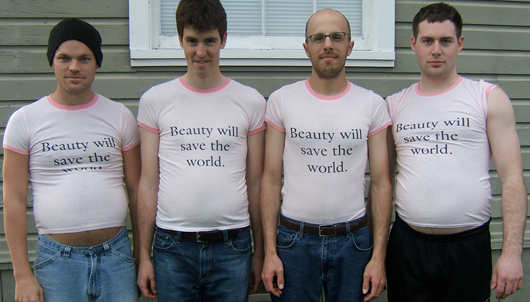 Beauty Will Save the World | Ross Gale is a writer and editor from the Pacific Northwest. This kind of beauty won’t be saving anything but women from marriage. The one year anniversary of Gregory Wolfe’s Beauty Will Save the World is almost one week away. If you are a writer or an artist wrestling with the significance of faith and art then you need to read this book. Wolfe examines the Catholic voice in literature and art while stitching together the polemics between left and right, liberal and conservative. He doesn’t hide the chasm, but proposes a unifying vision of hope of beauty that he draws from literature and art. I’ve been drawn to the ways that prophetic culture can be placed in tension with the imaginative cultures, precisely because they need each other so much. What happens when prophecy meets art, heaven meets earth—when divine imperatives meet the tangled human condition? When two cultures meet, they challenge one another, preventing them from the excesses particular to their own natures. Faith asks art to be about something more than formal virtuosity and to consider that meaning itself is already inherently metaphysical, even religious. Art asks faith to become incarnate in the human condition without compromise—or evasion—and remain compelling. I was disappointed to see this post was about Wolfe’s book, rather than the picture. Wolfe’s book does not disappoint. And neither do the men in the picture. My blog posts, however, will almost always disappoint. I guess, just learn from this experience. If Mr. Jacobsen was disappointed at the lack of congruence between the photo and text I suspect it mirrors Mr. Wolfe’s chagrin at the mere visual suggestion of such an association. And it must be noted, neither the disappointment nor the chagrin match my disgust with the miserable inability of Mr. Jacobsen or that tall Texan to produce a robust gut. Consider me duly chastised, friend. I’m doing what I can on my end—that being primarily a euphemism for imbibing IPAs and trolling local gatherings for bacon-cheddar burgers—but I need nature, time, and gravity to give me a hand. I speak for myself, here, not the Texan.